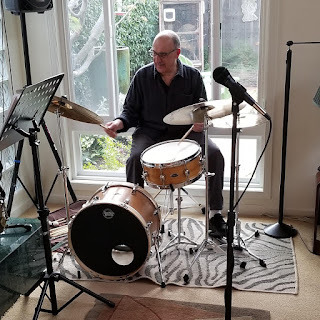 Since “Jazz musicians are their music,” what better way to write a biography of a Jazz musician than to centered it on the musician’s music as it appears on his recordings? This is especially the case when the subject it being treated retrospectively without the benefit of an interview. 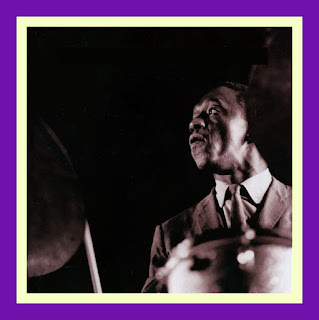 And this is exactly what bassist Rob Palmer has done in his comprehensive overview of the career of Paul Chambers - Mr. P.C. 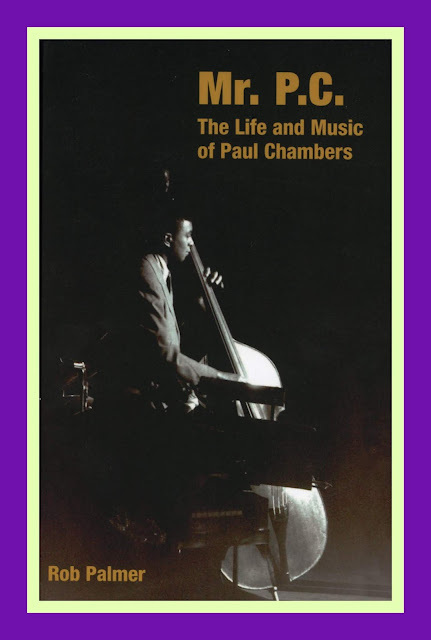 The Life and Music of Paul Chambers [Bristol, CT: Equinox Publishing LTD, 2012]. Valerie Hall, the Editorial and Marketing Manager at Equinox is offering JazzProfiles readers a 25% discount using the code Jazz when ordering from the Equinox website. “The above list could easily be representative of every interested forty-something’s top twenty favourite jazz albums; a panoply of hard-bop, be-bop, orchestral and modal jazz. There will be very few genuine jazz enthusiasts who do not own at least a small handful of the recordings mentioned above and there are more than a few that will have all of them on their shelves at home. The list incorporates some of the most listened-to and talked-about jazz of the 1950s and '60s, if not of the history of the idiom itself. Kind of Blue is one of, if not the, best-selling jazz albums of all time (depending on your definition of jazz), with sales of the numerous re-issues and re-mixes reportedly exceeding the three million mark. It was the most commercially successful recording of Miles Davis's career. Although many precedents had earlier provided the opportunity for players and listeners alike to explore the potential of this particular sub-genre, it is this Miles Davis classic that is often credited as introducing the concept of modal playing into the mainstream field of jazz. Giant Steps the title track of the second of Coltrane's three celebrated masterpieces (the first being Blue Train and the third A Love Supreme) is a further example of ground-breaking innovation in the field of jazz music, albeit of a very different kind. This recording, while involving more than one of Miles Davis's sidemen from Kind of Blue, was, in Alyn Shipton's words, "the antithesis of simplicity.' While occasionally acknowledged as the pinnacle of expression in terms of melodic invention around the use of complex forms, this track, at the very least, drew the music community's attention to a specific and demanding sequence of chords that is still referred to by musicians as "Giant Steps changes" despite the fact that the sequence had been heard before in more than one setting. Even today, in many circles, a musician's ability to negotiate these particular changes freely and creatively is considered a fundamental measure of competence. It is not widely known that the recording sessions that produced Kind of Blue and Giant Steps were undertaken within a matter of weeks; Miles entered the CBS recording studio on Thirtieth Street, New York, on 2 March 1959, with some small scraps of paper on which he had scribbled the material that was to become part of Kind of Blue while most of the material on Coltrane's Giant Steps was recorded on 4 and 5 May 1959, around eight weeks later (although earlier sessions that featured the material Coltrane had prepared for that LP were under way by 1 April). There were several other classic recordings that took place during the early months of 1959 and it would not be unreasonable to suggest that, creatively speaking, the spring of that year could be described as a fertile period in jazz history. Miles Davis's recordings of the material for the Columbia LPs Sketches of Spain (1959 and 1960) and Porgy and Bess (1960), both orchestrated by composer/arranger Gil Evans, are still two of his best-loved works, even amongst less committed jazz fans. The origins of these two works, neither of which was originally conceived as "jazz" in any conventional sense, both benefit from what could be considered an informal relationship with mainstream popular culture. For the layman, this allows each piece a degree of familiarity that, in turn, renders the Davis/Evans versions exotic and interesting rather than alien and inaccessible. 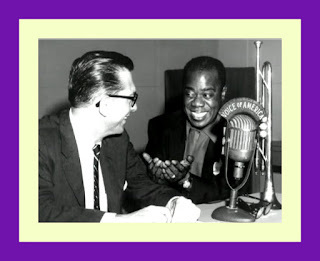 uncompromising performers recording at that time and "a man of unquestioned artistic courage" The music recorded on Tenor Madness pays testimony to his reputation and provides evidence of his talent. The recording of Art Pepper Meets the Rhythm Section, another classic album from the period, took place shortly after Pepper's release from prison in 1957. 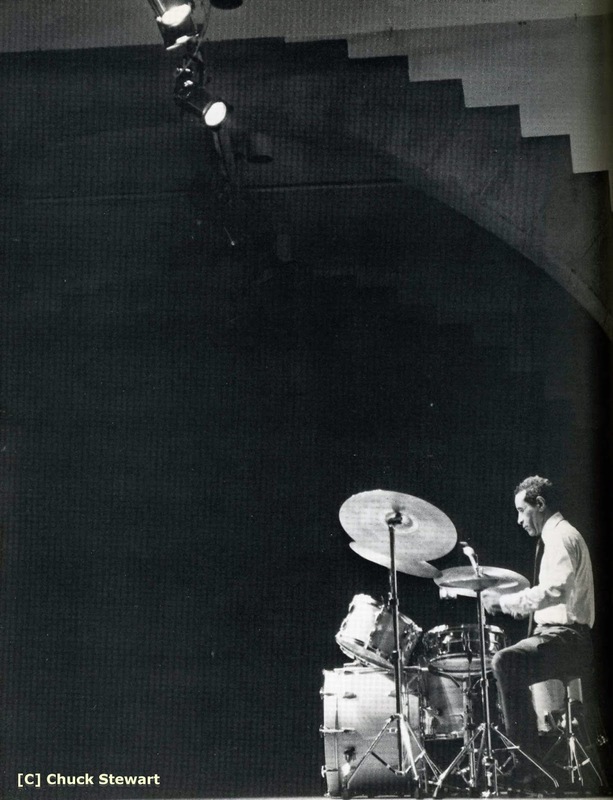 It is interesting to note that the publicity department at Contemporary Records, the producers of Art Pepper Meets the Rhythm Section, saw fit to package Pepper's post-sentence "re-launch" (one of several) on the basis that he had been teamed up with the rhythm section of the day and not just a rhythm section. The fact that this release was marketed on the basis that Pepper's improvisations were accompanied by the personnel that the great Miles Davis was then using as his rhythm section is testimony to the esteem with which these three musicians were held at that time. It is apparent, from his biography, that Pepper was thrilled at being afforded the opportunity to record with what was generally agreed to be the greatest rhythm section of its day. His delight at the quality of the music produced during the session and subsequently released is also a matter of record. Among the albums listed above, we can hear the work of at least five trumpet players, around eight saxophonists, six pianists and at least five drummers. The list, however, represents the work of just one bass player. What makes this list of iconic jazz recordings special is that it amounts to only a tiny part of the immense discography of the work of a single man: the double-bass player Paul Chambers, the young musician who inspired Coltrane to write his legendary minor blues, the evergreen jam session staple, Mr PC Red Garland to pen The P.C. Blues and Tommy Flanagan to compose his own Big Paul. Chambers recorded over 300 LPs for record labels as varied as Columbia, Riverside, Blue Note, Savoy, Veejay, United Artists, Prestige and Impulse. He played with almost every great instrumentalist from the mid-fifties to the late sixties, including Miles Davis, John Coltrane, Sonny Rollins, Dexter Gordon, Stanley Turrentine, johnny Griffin, Wayne Shorter, Clark Terry, Thelonious Monk, Bud Powell, Bill Evans, Herbie Hancock, Grant Green, Kenny Burrell, Art Blakey, jimmy Cobb, Philly Joe Jones, Max Roach, Roy Haynes and Paul Motian. The list is extensive. Chambers played bass on some of the top-selling jazz albums in the history of the music and contributed significantly to some of the most critically acclaimed and historically important LPs of all time. As one critic said: "Even when you couldn't hear Paul Chambers, ... it was clear that everything was built around him". Upon reflection, it is amazing what Paul accomplished in a performing and recording career that lasted a mere 13 years. “Paul Chambers was an ordinary man, a man who took a raw talent and worked hard with that talent to become the best musician that he could possibly be. He wasn't good because he was black. He wasn't good because he was from Detroit. 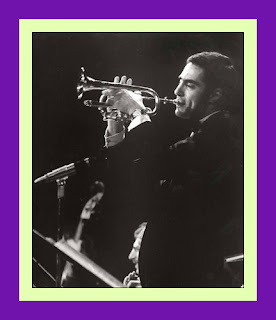 He wasn't good because he knew Doug Watkins or Ray Brown or because he bathed in the glow of legends like Miles Davis and John Coltrane. He was good because he worked hard, because he invested considerable time and effort, blood and sweat, in developing the techniques required to master his chosen instrument. There is no magic here, no folklore; these skills were earned the hard way, through hours of systematic practice, day after day, night after night, week after week and year after year. Chambers spent time processing musical concepts, considering harmonic theories, learning and practising chord sequences, playing solo bass etudes with a bow, building up his strength and his calluses, talking to his peers, wheeling his bass across Detroit and New York, jamming with other musicians, some younger, many older, listening to those who influenced him both live and on record, immersing himself, body and soul, in the music they call jazz and investigating elements of the classical repertoire. “Paul Chambers's contribution to the development of the bass is not easily defined. He was not an innovator in the conventional sense. His time playing finds precedent in the work of Ray Brown and Wendell Marshall. 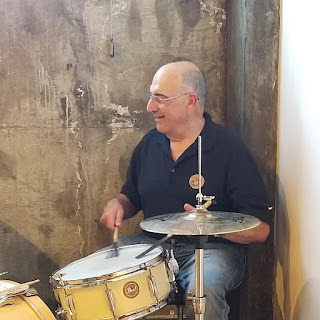 His arco soloing is an extension of the work of Slam Stewart and Major Holley and there are, in any event, some credible sources that are critical of this aspect of his playing. His bebop soloing has its origins in the work of Oscar Pettiford, Charles Mingus, Red Mitchell, Ray Brown and Red Callender. To suggest that Chambers was an entirely fresh voice on the instrument does not bear close scrutiny. What he did do, however, was to consolidate a series of important but independent innovations, bring them all together in the person of a single musician and introduce some of those concepts to the listening public for the first time. Rob’s observations about Paul’s style and his place in the scheme of things form underlying themes as he follows the evolution of Paul’s career from its earliest years on the “Motor City Scene” [Detroit, MI] to his years as a member of the Miles Davis Quintet from 1955-1963, to the after Miles years which included touring with pianist Wynton Kelly and drummer Jimmy Cobb and becoming involved in “the session work that was starting to role in.” [p. 276]. Of particular interest to me as Rob takes us through Paul’s recording career as a sideman and as a leader is the way in which he brings in other bassists to describe what Paul is actually doing on bass and how many of the tunes that he plays on are structured. He offers a kind of insider’s perspective on how Paul played as well as what is going on in the music. As someone who has always been interested in what makes a Jazz special and interesting, one of the outstanding aspects of Rob’s treatment of Paul’s recorded career are his descriptions of the structure of the tunes on the seminal albums listed at the beginning of his Introduction. 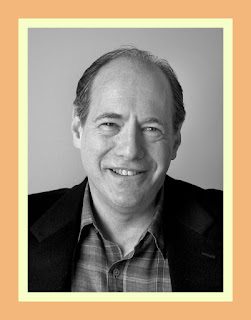 In addition to the 341 pages of text that make up the body of his work, Rob provides a select bibliography and a listing of footnotes per chapter. The book is particularly notable for the inclusion of a 64-page discography. If you are a fan of Jazz from this era, you simply can’t go wrong using a copy of Mr. P. C. The Life and Music of Paul Chambers as your aural narrative through the music associated with Paul’s career. 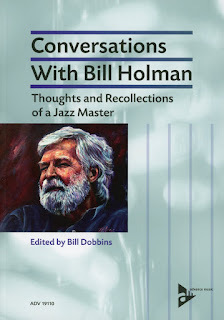 It’s not often that a book about Jazz comes along that offers both a cogent and coherent biography of one of the principals of the post World War II Modern Jazz movement, as well as, an illuminating [and easy-to-read] guide to what’s going on with and within the music. Rob’s book on the life and music of Paul Chambers is one of those rare occasions when this hoped for alignment occurs and, as such, you may wish to include it on your gift list for the upcoming holiday season. John Scofield - COMBO 66!